On November 12, 2014, the City of Hamilton informed the Municipal Heritage Committee that Vrancor's King West Crossings Inc. applied for a demolition permit to demolish the heritage interest building at 354 King Street West, commonly known as the Mount St. Joseph / McMaster Children's Hospital building. The permit application was made on October 7, 2014 by Darko Vranich's King West Crossings Inc. The demolition permit has been issued by the Building Department and demolition may occur at any date. The building is only listed as being of interest, and was not added to the Heritage Interest Registry as it sits on the west side of Queen Street, officially outside the Downtown Core boundary. For some reason, as of yet unknown, this information was not provided to the Hamilton Municipal Heritage Committee during their October 16, 2014 meeting. Ward 1 Councillor Brian McHattie says he was only recently informed of the permit. Due to the election period, Councillors were not receiving routine updates from City staff. "I only found about the demo permit recently as it was applied for during the election," wrote McHattie in reply to TPR. "Frustrating as there were no actions that could be taken given the lack of Council meetings." "[Councillor-elect] Aidan [Johnson] and I are meeting with Mr. Vranich next week to learn more as I am not aware of a development application yet at the City." As of November 12, there are no development applications filed with the City of Hamilton for post-demolition development. This article was first published on Joey Coleman's website, The Public Record. It is republished here with permission. i know that building is haunted but city of hamilton can attempt to tear it down. What? Was any fact checking done to confirm this? Was it sent but the councillor didn't see it due to his focus on running for mayor? I find it really hard to believe that once the election period takes off after council stops sitting, that all communication ceases or becomes infrequent. the fact you didn't notice a difference in the level of work happening at city hall during the election may speak to the quality of their work the rest of the 4 years. The place was a ghost town for all of October. You think Vranich just happened to luck out and submit his application then?? I'd like to know what the mayor knew, and why the heritage committee wasn't informed. What? I never said I noticed a difference in the level of work. Where'd you pull that from? Sure, Vrancor isn't the Salvation Army, and certainly applied for the permit during the election, but that's no excuse for councillors not to be paying attention to their wards during the election. Obviously the permit requestor knew that this was the fact. 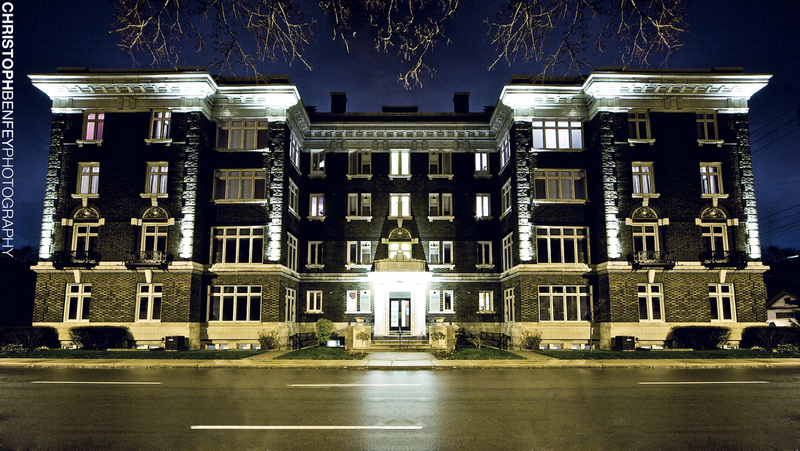 Perhaps Vranich should do a tour of two similar buildings in Hamilton that have been restored by Core Urban. And are fetching a pretty penny as condo units downtown. This was a proposed LRT stop. Remember the church kiddie corner will also be demolished. A huge heritage loss here. No ability to repurpose or update with extension, etc? There are a lot of buildings in Hamilton that I would say no to being torn down. This is not one of them. As long as there is a plan for redevelopment, which Vranich has demonstrated more than once, I am all for the demolition. totally disagree. This is a beautiful, intact heritage building in great condition and location for redevelopment. Imagine we were in Montreal. Would this be knocked down instead of worked with? Hamilton might be one of the most self-depreciating cities I've ever seen. We've believed the press about us for so long that we're an armpit and dump that we turn it into a self-fulfilling prophecy by removing the soul of the city for bland stucco boxes that will be demolished long before Lister or Mt St Joseph. That's the major problem: there is apparently no plan for redevelopment. It is, once again, demolish now, think later about possibly re-developing. And in the meantime we will have another vacant lot or surface parking lot damaging the vitality of the city. Probably for years, possibly for decades as is the case for many of the vast surface parking lots downtown. A feasible re-development plan (both architecturally and financially) should be a condition for granting a demolition permit. There have been many cases recently of owners who insist on demolishing with no concrete plans to actually rebuild, just as a way of reducing property taxes and reducing the carrying costs for land speculation. Demolition for the purpose of land speculation (and reducing property taxes) should not be encouraged! Remember that it is the rest of us who end up paying higher taxes to subsidize the speculation. Maybe there is a feasible plan for quick re-development. But no one has seen any evidence of one. @Kevlahan, How do you know? Is it "once again, demolish now, think later"? Are you in the know? Vranich has demonstrated time and time again that he is a good developer for our city. I said "apparently". As far as anyone knows, there are no plans and Joey Coleman states no site plans have been received by the City. Vranich has recently started construction on his Main/Bay properties, but that was after about nine years of leaving them vacant and being cited for fire violations for storing old mattresses and other material in the old Federal Building since purchasing the building from the Federal Government in 2004. According to the Spec he also operated an illegal parking lot on the site of the demolished HMP building adjacent to George street for several years until eventually stopped by the city. He intended to entirely demolish the Federal building until the Federal Government stepped in an enforced the non-demolition covenant he signed when he bought the building. His development record is mixed in this regard and I sincerely hope that he has good plans for Mount St Joseph, but no one has seen any indication. Surely, it makes sense to wait to demolish until you have actual plans! with so much available land on site, it could have a dramatic, modern addition built into it without demolishing it. Add another layer to our history and built heritage. Don't take away. it's a small building on a big lot with no parking underneath and a great big setback. It belongs in the country behind a pond with some cedars. It's very similar to the HWDSB building. Sure it has some features but it's out of place downtown. As for the supposed lack of redevelopment plans, maybe Vrancor should be given a bit of credit for recent efforts? really? No building can be set back downtown? City Hall? Old courthouse? LIUNA Station? With proper urban landscaping this could be a great property downtown. Plant more trees, add walkways, gardens, water features and sitting areas with a mixed-use development on site. Jason, your example is Osgood Hall. The Mount St Joseph's building is certainly nothing compared to Osgood. It is an average looking building. Why must we preserve everything because it is old (sort of)? Because Jason and Ryan said so. These two guys know more about urban planning and redevelopment then people who actually risk their own capital to make development projects happen. Running a blog makes you an expert in almost anything. Why must we preserve everything?? You ask that as if we have. The list of benefits is well documented and shown to add to the economy and quality of life in other cities. The heritage he we have lost is unbelievable. Successful affluent areas champion this. 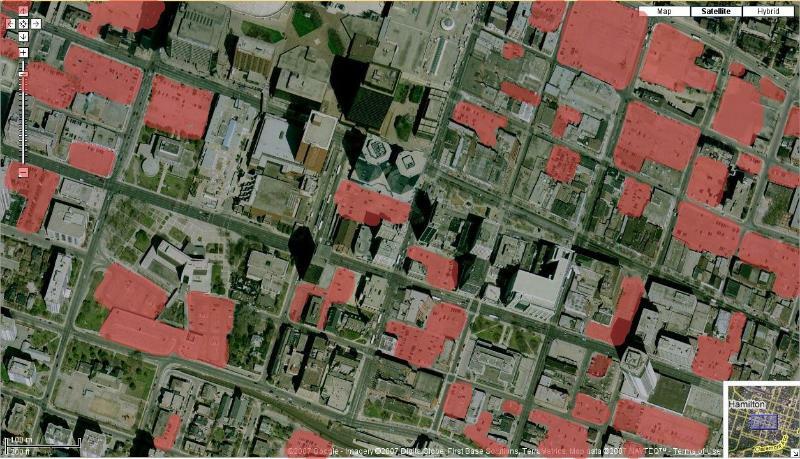 Learn what we have already lost and understand how many empty lots are still available! I don't have a sufficiently informed opinion as to 're-development', but I will say this: I've been in this building on many occasions. There is no element to it that even hints at a larger value than functional brick construction. If wonderful buildings were being consistently build in the city, I doubt there'd be the (well-intentioned) declaiming that's so common on this site. Well said. We build junk, or usually, nothing. 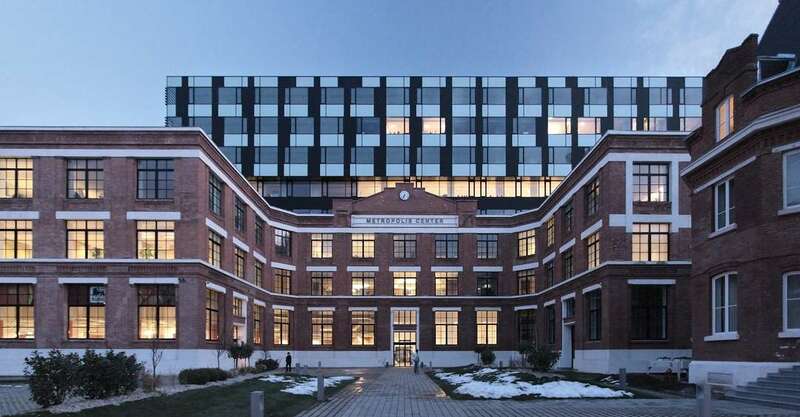 Some of the best recent projects involved restoring old buildings. Walk past the suburban ground level parking garages and driveways of Vranichs new builds, then walk past these projects and see how they enhance the streetscape.